Since it's almost fall we love soups. One soup we all like is Chili. One e-Book that has helped me with fall recipes that I love is Cooking with Beans Cook Cheap and Easy Meals with Dried or Canned Beans By Rhiana Jones. They are tasty and you can make so many things with them. Rhiana Jones shows you how to give low-cost dried or canned beans a starring role from breakfast, lunch, snacks, dinner, and desserts. Yes there are 3 dessert recipes. There is a little bit of everything. There are 20 plus recipes. Some are old favorites to different. It's fits vegan or vegetarian diet. Other recipes such as the 4-ingredient Spicy Cowboy Hash, cater to the meat-lovers in your life. Cooking frugal is in. Put your stockpile of inexpensive dried canned, or uncooked beans to good use. We buy a container of uncooked beans at Costco. 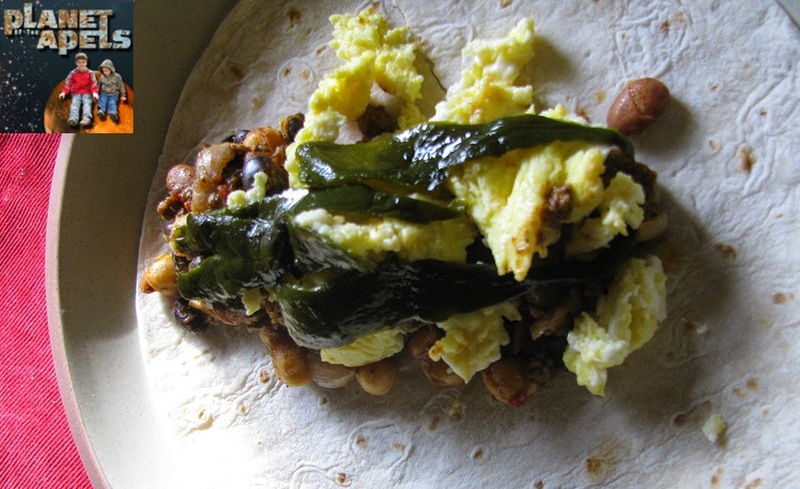 Wheater your are making Black Bean Huevos Rancheros for a brunch or family breakfast or the classic Three-Bean Salad or a Pinto Bean Pie for a potluck or everyday dinner, priced-right Cooking with Beans is a source of easy-to-follow, frugal recipes that you can prepare with confidence. The only thing I wish this eBook had more of is pictures. A lot of time on the weekends I make bigger breakfasts. We wake up a little later than usual, and don't have to rush around to go anywhere. The Bean and Potato Breakfast Burrito turned out really pretty good! 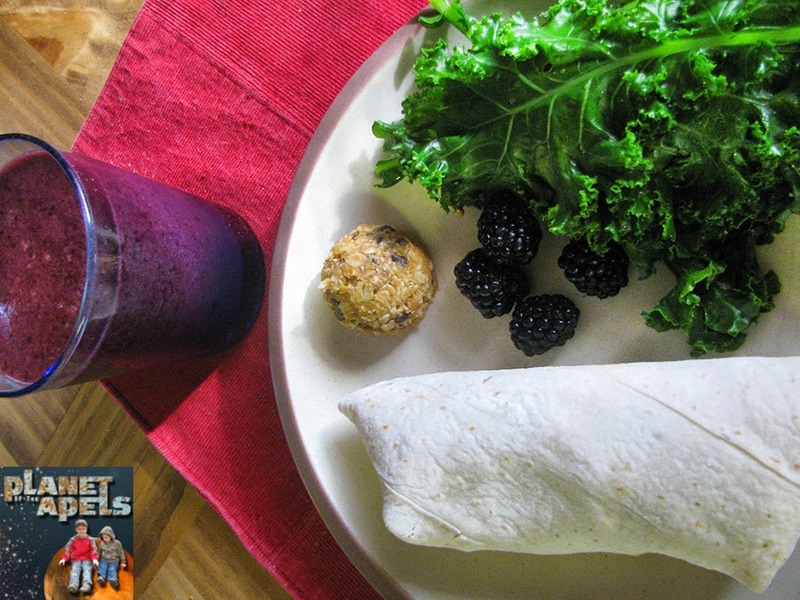 We also had steamed kale, 1 protein bite, 4 blackberries, and a beet | cherry smoothie. It's Giveaway Time! 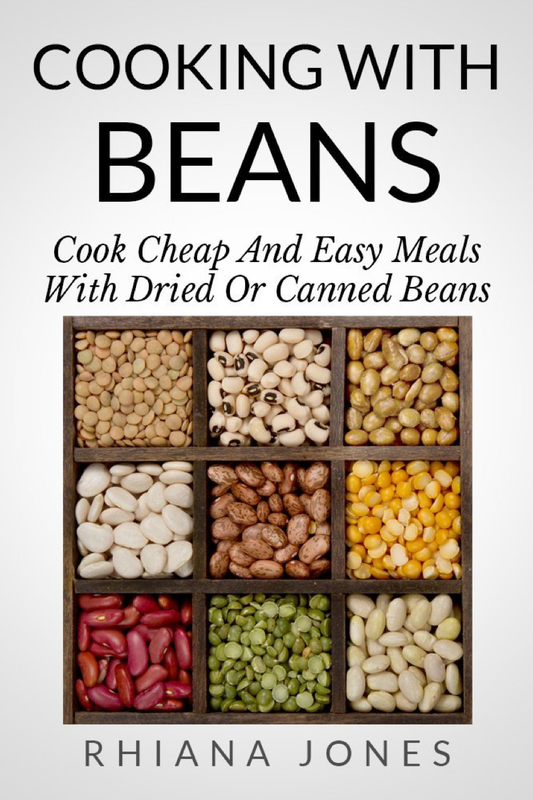 One reader is going to win their very own copy of of the eBook Cooking with Beans Cook Cheap and Easy Meals with Dried or Canned Beans By Rhiana Jones. Open to the US. We like to makes tons of things with beans. I think black bean salsa is our fave right now, but come Fall we'll be using them for soups! Beans, beans magical beans. I eat a lot of beans because they are so healthy. I love making hummus.